Thanks for stopping by to see what World Archery is all about. World Archery is the governing body, worldwide, for the sport of archery. With more than 160 member associations, World Archery holds international events and helps ensure the sport is well-represented in the International Olympic Games, International Paralympic Games, and other events around the world. 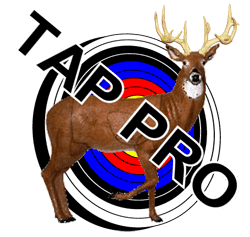 Keep reading for more information about this organization that is devoted to promoting archery, the sport we love. World Archery was founded in 1931 in Lwow, Poland. Originally named the Fédération Internationale de Tir à l’Arc, or FITA, it consisted of seven countries. The first international archery federation was comprised of associations from France, Czech Republic, Sweden, Poland, Hungary, Italy, and the USA. Its mission was to promote archery worldwide by unifying rules and developing international events. Great Britain soon joined as well, and the assembly adopted a set of statutes and competition regulations that made up the first World Archery Constitution and Rulebook. Then, the World Archery Congress made its first motion – to put a request to the International Olympic Committee to reintroduce archery to the Olympic Games. That was the unanimous wish of the founding fathers – to see archery return to the Olympic Games. The sport had been included in 1900, 1904, 1908, and 1920 before being removed. It took 41 years, but World Archery eventually succeeded in bringing the sport back to the Olympic Games. The organization oversaw the archery competition in the 1972 Olympic Games in Munich, West Germany. World Archery turned heads in a number of ways. It was the first international federation to elect a female president, Inger Frith in 1961. Archery has been an early example of gender equity in sports since even before World Archery, since it was one of the first sports to host a women’s event at the Olympic Games (St. Louis, 1904). In the Games hosted by Atlanta in 1996, archery was one of the first sports to have an equal number of quota places available to both men and women. In 2011, the name of the federation was officially changed to World Archery. The organization has continued to innovate and lead the sports world, encouraging the growth of archery worldwide and celebrating the tenth anniversary of the Archery World Cup in 2015. 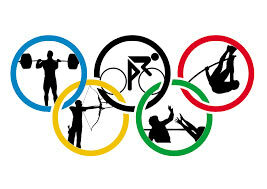 As previously noted, World Archery was instrumental in seeing the return of the sport to the Olympic Games. For more than half a century, archery was not represented within the Olympic Games, despite its strong standing as a true athletic sport. Even upon archery’s reinstatement to the Olympic Games, it was not really recognized as an “important” sport for many years. What this meant was that archery was not as well-promoted in Olympic revenue distribution categories, so the first World Archery Plan was launched in 2007. Thanks to this plan, the sport was deemed more deserving of revenues after the 2012 Olympic Games in London. 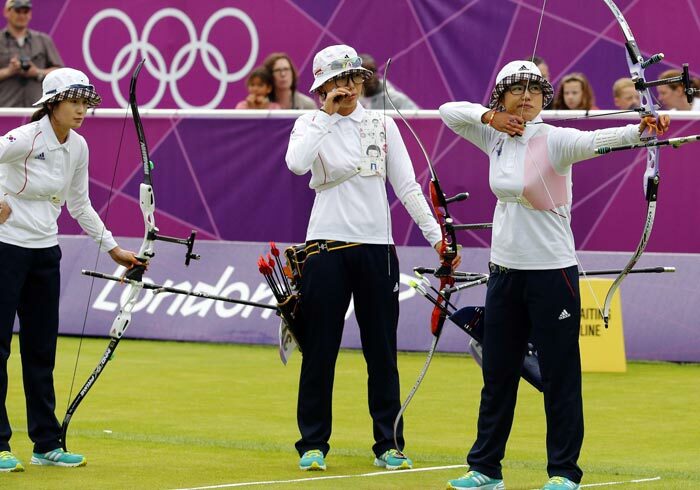 Under the guidance of World Archery, the sport has grown and evolved within the Olympic Games. World Archery provides the judges and guidance for planning events within the Games. Modern Olympic archery has four events, with men and women competing in both individual and team competitions throughout the Game. The team event was introduced during the 1988 Olympic Games in Seoul. The World Archery organization has introduced other changes to enhance the enjoyment of the sport by its spectators. For example, head-to-head match play was introduced in 1992, as part of an effort to make the sporting event more exciting to watch. During competition at the Olympic Games, olympic archers shoot at targets from a range of 70 meters (76.55 yards). The target, 1.22 meters (1.33 yards) in diameter, is marked with 10 concentric rings. Archers are ranked from one to 64 during qualifications, and then compete in head-to-head matches in single elimination rounds. Each archer shoots 12 arrows, and only the winner of each match moves on to the next round. In team archery, each team is made up of three archers. The same competition format is used for teams as individual events. In addition to the Olympic Games, World Archery supports many other events. These range from the international to national, including both localized and multinational events. All World Archery events utilize the same, or very similar, sets of rules. Archers compete within World archery events to achieve their highest level within the sport, and the competition is often fierce. Non-Olympic World Archery events fall under three categories: international events, World Ranking events, and World Record Status events. The World Archery Championships, along with the sister events for youth, para, field, indoor, and 3D competitions, are awarded to bid cities and managed directly by World Archery. They follow World Archery rules and are the federation’s primary way of promoting archery as an elite sport. Coordinated by World Archery’s continental associations, World Ranking events allow athletes to earn points towards a leaderboard in international archery. There are minimum standard requirements for these events, ensuring all participants perform under a common playing field. All international and World Ranking events are recognized, automatically, as events that could, potentially, host a world record shot. Events at the national level and below can apply to their national member associations for recognition as world record status events. Field archery was included from 2006 to 2012, but is no longer maintained within the World Rankings structure. Points are awarded to each archer based on quality, quantity, and period. These are multiplied together to produce the overall tournament factor, which can vary between disciplines at the same event. For example, the World Championships might use different ranking factors for the recurve and compound disciplines. The Quality subfactor represents the prestige of the event, taking into account the level of competition at the tournament. The Quantity subfactor assigns a score based on the number of competing archers. Finally, the Period subfactor is dependent on when the competition took place, allowing the Ranking Factor to emphasize the most recent tournaments over ones that took place further in the past. For an expanded look at how World Ranking is determined, Wikipedia has an excellent article on the system, updated to include the current calculation method and which disciplines are included in the World Ranking. Recently, World Archery came up with another initiative to improve individual competition within the sport. 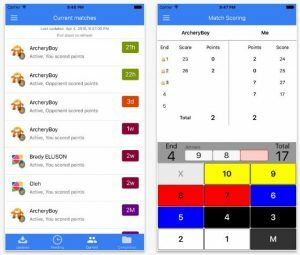 Through the federation’s head2head archery app, archers from around the world can compete against each other in live match play regardless of their location, time zone, or ability. Players register, upload their bow profiles, and challenge other players to live matches. Each archer records the arrows shot in real life within the app, either end-by-end or in advance. Archers can even ask for picture evidence to ensure fair shooting. The app, available for both iOS and Android, supports live match scoring, a match record database, historical matches, inviting and challenging friends, and locating other opponents to engage with in matchplay. World Archery is governed by a body of its member associations. This body meets every two years at World Archery Congress, where motions can be made to make changes to the World Archery Rulebook and Constitution. In order to manage the federations between each Congress, members elect an executive board. This Executive Board is the governing body of World Archery between meetings of its Congress. The Executive Board is made up of a President, First Vice President, three Vice Presidents, and eight other members. These other members include an athletes’ representative and the Secretary General. All seats of the Executive Board are elected positions. World Archery also appoints permanent and ad hoc committees, as well as special boards and commissions, to focus on governance of certain areas of World Archery’s operations. Current committees include an Athlete’s Committee, Coaches Committee, Constitution and Rules Committee, Judges Committee, as well as committees to oversee individual event disciplines, medical and sports science, and a technical committee to oversee matters related to athletes’ equipment. Boards include a finance and audit board, a board of justice and ethics, and the anti-doping panel, dedicating to ensuring the sport of archery remains free of drug abuse. World Archery’s rulebook is quite comprehensive, and its complete text is beyond the scope of this page. The complete rulebook, available from World Archery’s web page, outlines everything from the overarching governance of the organization to detailing how to manage events and score various archery discipline competitions. The first book of the rulebooks outlines the constitution and procedures for governing World Archery as a whole, as well as continental, national, and local member associations. It addresses the procedures for the World Archery Congress, the organization of various committees, and a code of ethics for the federation. The second book outlines how events should be structured, including how to set up the field of play for various disciplines and how to ensure safety and shooting control in target archery. This book also details championships and other competitions, titles and records, and guidelines for medals, trophies, and performance awards. Books three through five detail specific disciplines of archery. 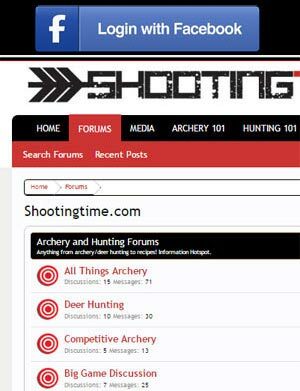 These include target archery, field archery, and 3D archery. Book Five outlines miscellaneous archery rounds and ski-archery. The final book outlines World Archery’s anti-doping rules, outlining how organizations should ensure a drug-free experience for all archery athletes. We hope this article has helped you learn more about the competitive sport of target archery, as governed by World Archery. Depending on your geographic location, it may or may not be easy to get involved in World Archery competitions, but the sport is very accessible throughout the world. With millions of archers from all around the world under its umbrella, chances are good that you will find a member association near you. Start with your national federation, and drill down from there, if you’re interested in trying your hand at competitive archery.